The road to refrigeration that brought us to where we are today required major ingenuity and innovation. 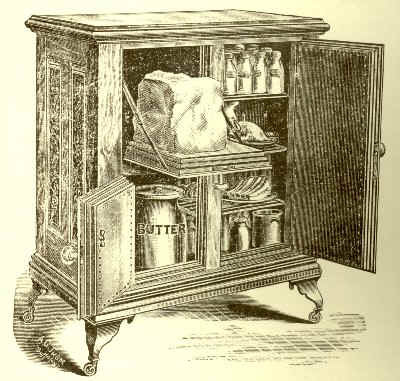 Check out this timeline of the refrigerator for a look into the early days of the fridge, and to see what inspired our Modern Made Classics of today! 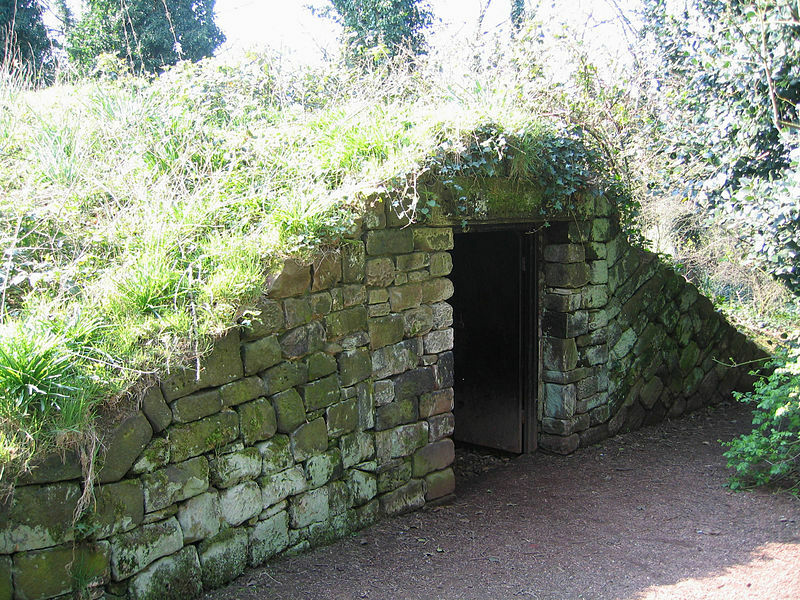 One of the earliest forms of refrigeration was the Ice House. People would gather snow or ice from the surrounding mountains and rivers and store it in structures like the one shown below. An ideal Ice House would be near a river or stream, and deep in the ground to maximize refrigeration. It wasn’t until the 1800’s that there was a way to store ice inside a home when The Icebox was introduced, and gained popularity quickly. 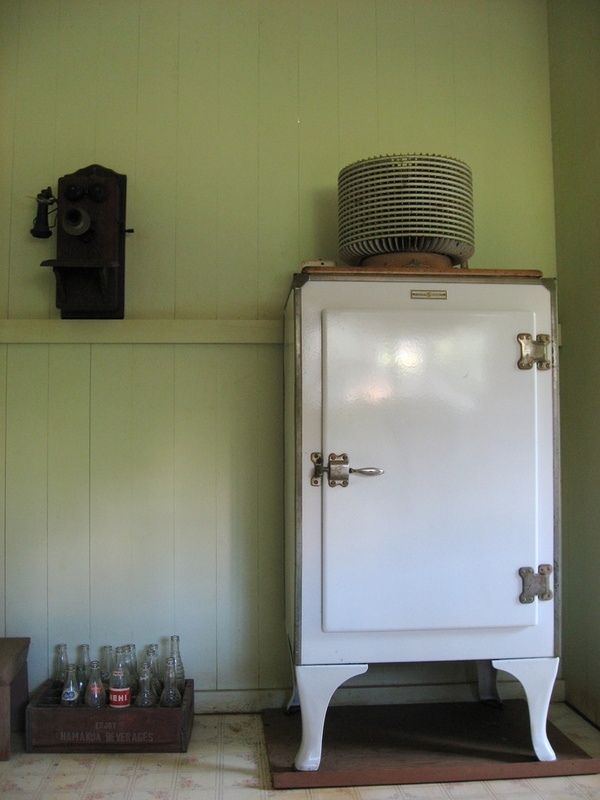 Most Ice Boxes were made of wood with an interior lined with tin, cork or zinc. Many people used sawdust or seaweed to help keep their blocks of ice cooler, longer. Because the ice would eventually melt, a drip tray was placed underneath the icebox to catch melt. The tray had to be frequently emptied. While the use of the Ice Box lasted into the 20’s & ‘30’s, an alternate form of refrigeration was introduced during this time. It was an electric refrigerator with a cooling unit on top. Because they could not be mass-produced electric fridges were quite expensive and were mainly owned by the wealthy. 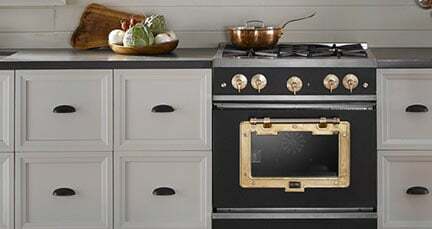 The 1940’s brought the refrigerator we recognize today. 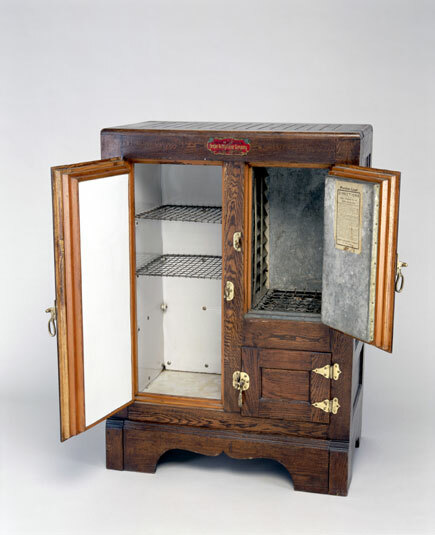 The bottom-cooling refrigerator was mass-produced, making it more affordable than refrigerators of the past. It was the first time in history that the majority of Americans owned a refrigerator. 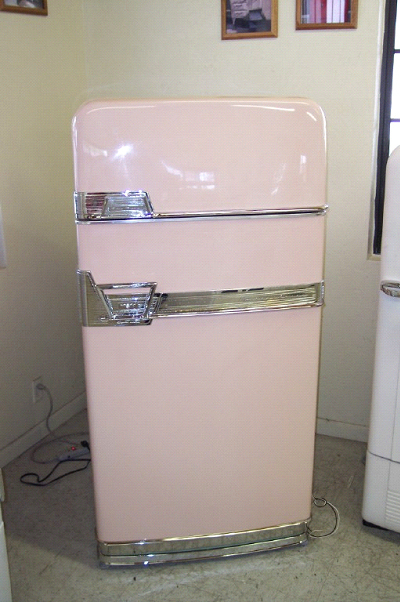 The refrigerator of the 1940s brought safe food storage to the American home, and set a standard of food safety. 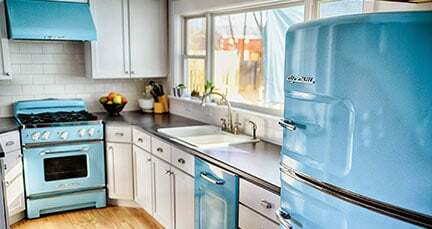 Since the 1950’s improvements in style and performance have continued to bring consumers design-conscious, energy-efficient refrigerators to choose from. 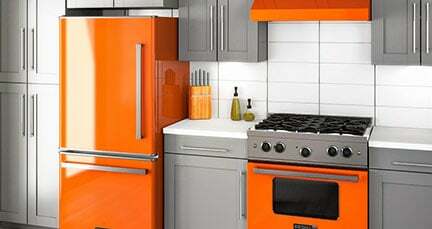 Love the look of the 1950s but want all the modern amenities of today? Big Chill is the fridge for you. Our Modern Made Classics give a nod to past and give you the sleek style, and top performance you need for today’s kitchen!